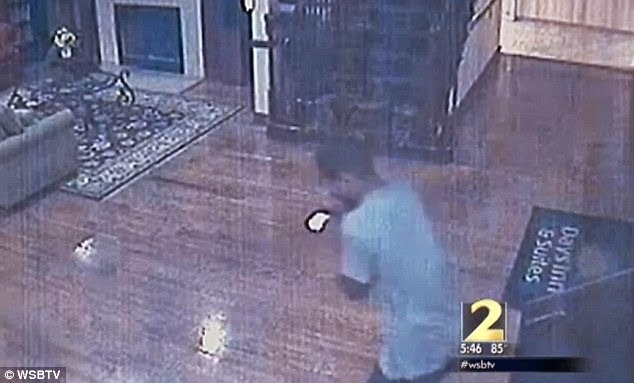 A brazen thief who tried to hold up a Georgia hotel with a gun last week left in tears when the clerk refused to hand over security camera footage that filmed the robbery. 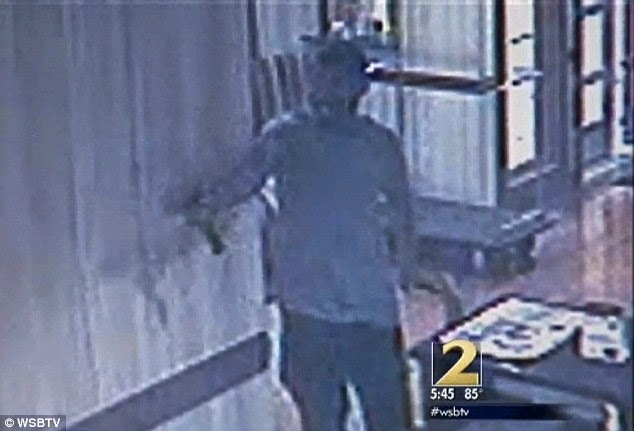 when he walked into a Days Inn in Dekalb County at about 2am on Monday last week. 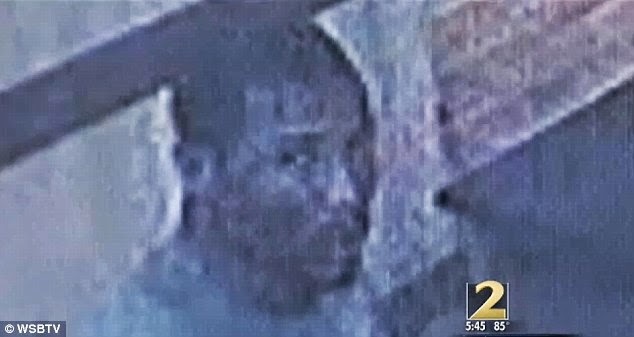 But after grabbing wads of cash from the register the thief looked straight into a camera - and realized he had blown his cover. The armed robber tried to threaten a female employee with his handgun, but when she told him she didn't know how to get hold of the footage the thief became flustered. 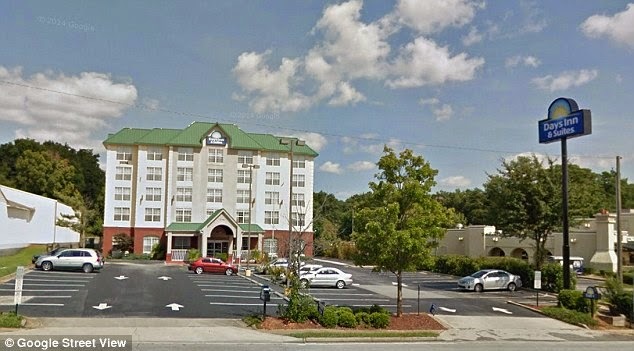 'He threatened [the hotel employee] and said, "Hey, if you don't I'll shoot you",' Detective P.A. Wright said. 'But she was like, "I still don't know how to work it". At that point he was so frustrated, he left crying,' Wright told WSBTV. Despite being threatened with a gun, the hotel employee was not physically injured during the robbery. She later described to police how the gunman had burst into tears and fled when she was unable to give in to his demands. Police have not yet arrested the thief, but thanks to the security camera footage they have a clear view of his profile. His distinctive silver gun, with extended magazine, which was clearly seen in the footage could also help police identify the robber. Witnesses at the hotel also reported seeing the man, who stole an undisclosed sum of money, get into a black Oldsmobile Bravada.